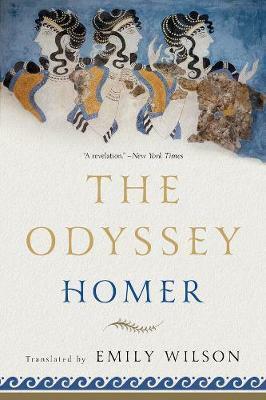 A lean, fleet-footed translation that recaptures Homer's nimble gallop and brings an ancient epic to new life. The first great adventure story in the Western canon, The Odyssey is a poem about violence and the aftermath of war; about wealth, poverty, and power; about marriage and family; about travelers, hospitality, and the yearning for home. In this fresh, authoritative version, this stirring tale of shipwrecks, monsters, and magic comes alive in an entirely new way. Wilson's Odyssey captures the beauty and enchantment of this ancient poem as well as the suspense and drama of its narrative. Its characters are unforgettable, from the cunning goddess Athena, whose interventions guide and protect the hero, to the awkward teenage son, Telemachus, from the cautious, clever, and miserable Penelope, to the complicated hero himself, who emerges in this translation as a more fully rounded human being than ever before. A fascinating introduction provides an informative overview of the Bronze Age milieu that produced the epic, the major themes of the poem, the controversies about its origins, and the unparalleled scope of its impact and influence. This is an Odyssey that will be treasured by a new generation of scholars, students, and general readers alike.